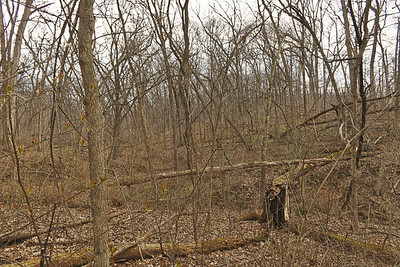 There's some life on the forest floor, but it's almost a month into spring, and the woods are still sleeping. 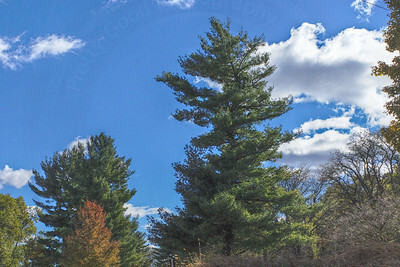 Trees wait patiently under a blue sky with clouds that are big and fluffy, almost summery, but not quite. 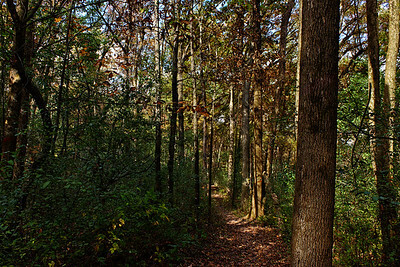 The trail runs right along the edge of a rather severe slope. Slip over the edge and you'll end up in the Rock River. Fallen leaves catch the sun as they lay on a bed of moss. 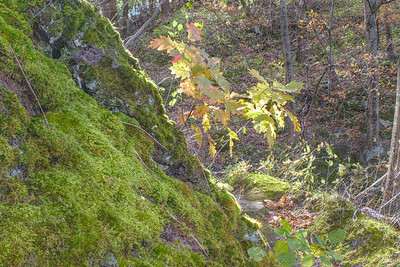 Autumn leaves are illuminated by the sun near the bottom of a moss covered rock. 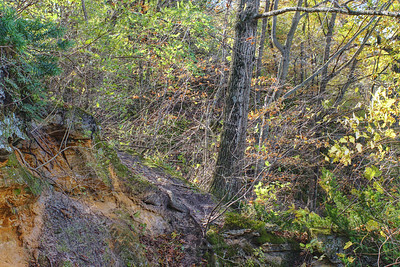 An eroded sandstone bluff stands over a gully and the autumn forest. 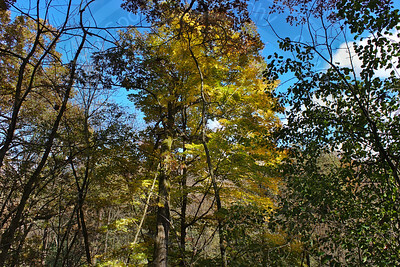 A hillside along the Ice Age National Scenic Trail looks out on the Rock River and the gold of the sun in the autumn trees. 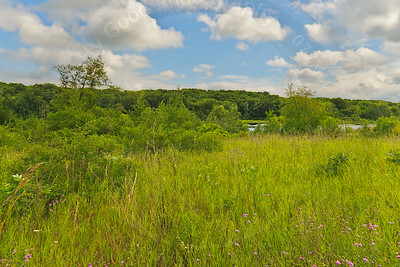 Walking along the Ice Age National Scenic Trail in Southern Wisconsin (USA). The sun was in and out of the clouds. 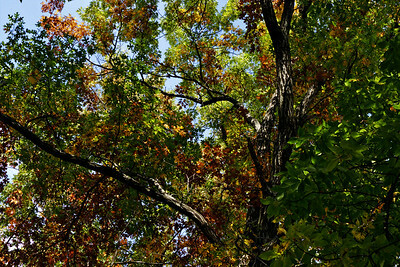 When it hit this particular tree, the colors just exploded. Now, be honest. Doesn't this tree look a little like a pretty ballet dancer? 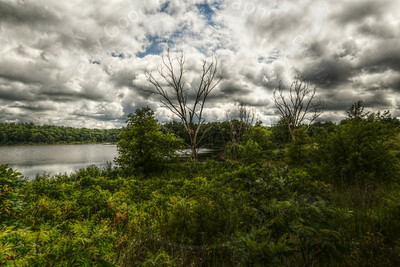 Walking along the Ice Age National Scenic Trail in Southern Wisconsin (USA). 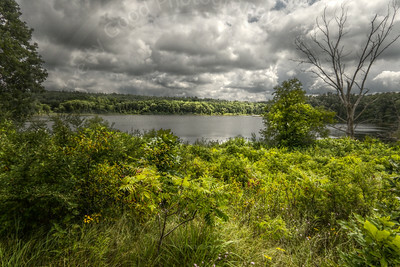 Walking along the Ice Age National Scenic Trail in Southern Wisconsin (USA). 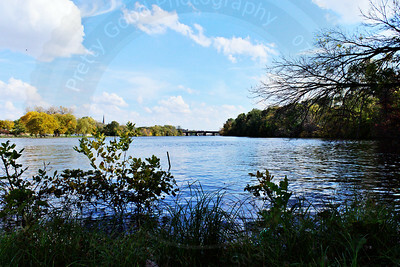 There are still a few holdouts, but summer is over along the Rock River in southern Wisconsin (USA). 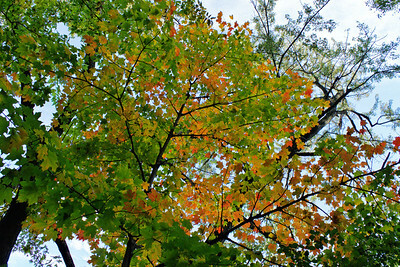 Each leaf seems to want its own unique color as this maple tree begins to prepare for winter. This is Staghorn Sumac. You can tell it's not poison sumac because it has jagged or serrated edges on the leaves, and a slightly fuzzy stem. 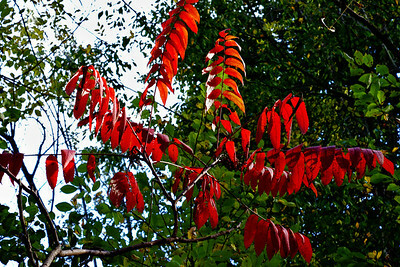 Poison sumac has smooth edged leaves and a waxy smooth stem. 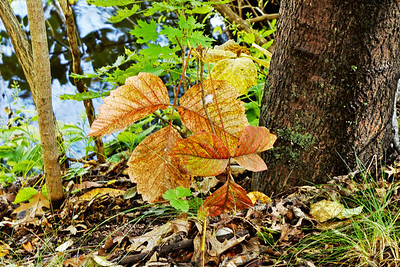 Leaves return nutrients to the forest soil. 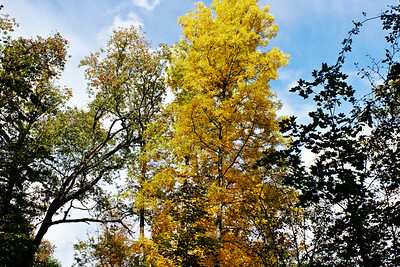 Bright yellow autumn leaves are dazzling! 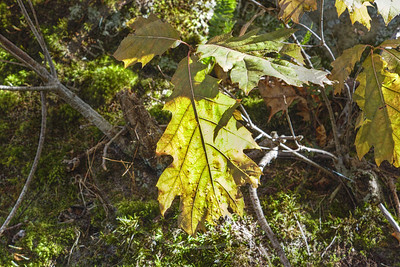 Green gives way to rich earth tones as this oak decorates itself for autumn. 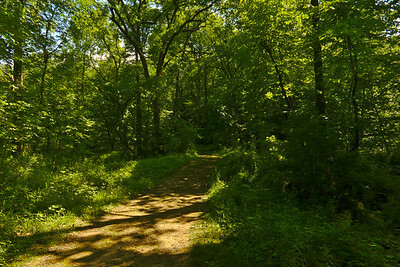 The Ice Age National Scenic Trail, in Janesville, Wisconsin (USA) leads from the cool of the forest, to a clearing, and into the hot summer sunshine. 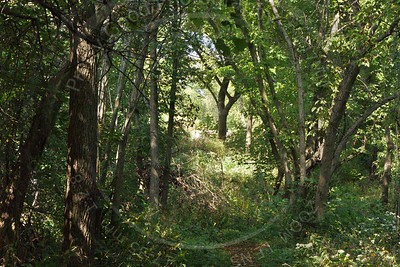 This view looks back on the Ice Age National Scenic Trail in Janesville, Wisconsin (USA), just before the trail passes under the railway bridge and exits into the City of Janesville. 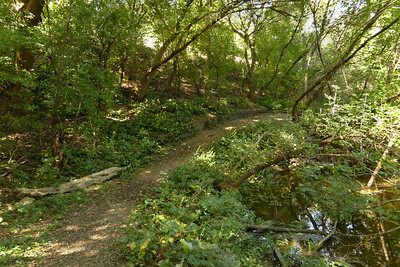 The light area in the upper center of the image is the rail roadbed. 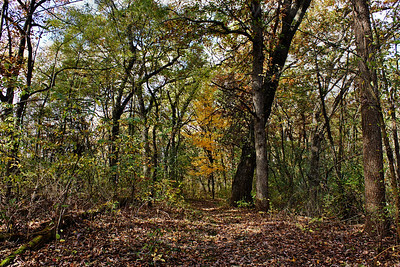 The forest has covered the trail completely in this section of the Ice Age National Scenic Trail in Janesville, Wisconsin (USA). 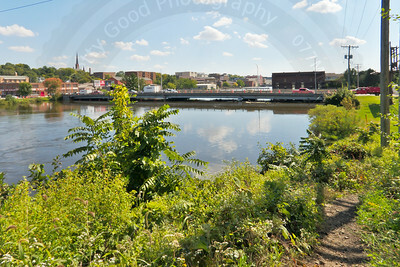 This is the central city of Janesville, Wisconsin (USA), viewed from across the Rock River, where the Ice Age National Scenic Trail exits from the cool green forest, into the sunshine of a hot summer day. 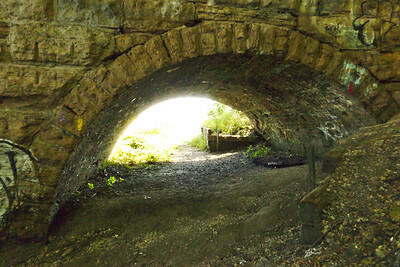 The Ice Age National Scenic Trail goes through this tunnel, which is part of a railway trestle. This side is the cool green forest. That one is the city of Janesville, Wisconsin (USA). 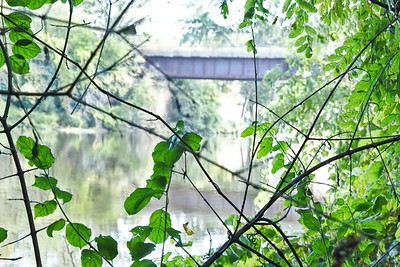 Sunlit leaves screen one of the many railway bridges across the Rock River in Janesville, Wisconsin (USA). 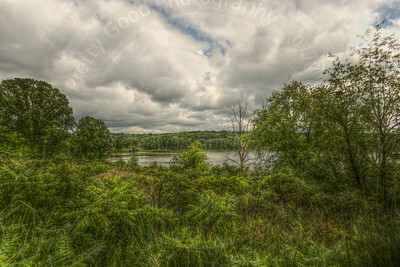 This a view from the Ice Age National Scenic Trail. It's just the overturned roots of an old tree, along the Ice Age National Scenic Trail in Janesville, Wisconsin (USA). My overactive imagination, of course, saw an alien space creature. 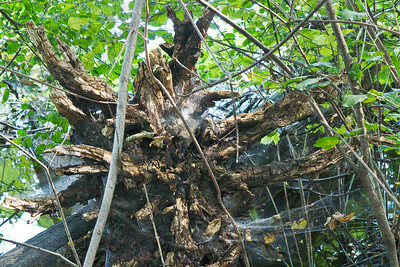 Based on the spider webs, it apparently doesn't move much. 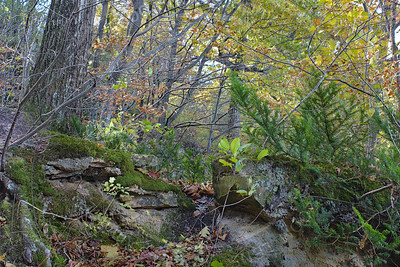 This is perhaps one of the less scenic spots on the Ice Age National Scenic Trail, but it did have certain character that I found intriguing. 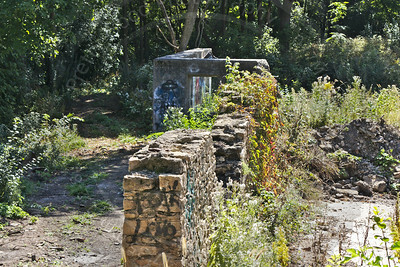 This is the site of the former City Brewery, later the Bower City Beverage Company and Croak Brewery in Janesville, Wisconsin. The building was demolished (and not very well, it seems) in the 1940s, after the company went bankrupt. It had produced 10,000 barrels of beer in 1938, and boasted a bottling line capable of producing several thousand bottles of beer per day. 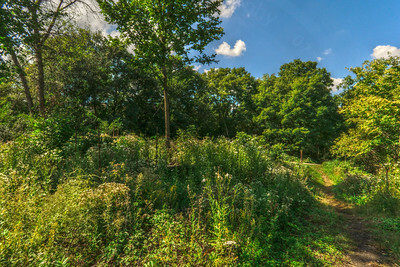 I visited a section of the Ice Age National Scenic Trail that I never seen before, right in Janesville, Wisconsin (USA) where I live. 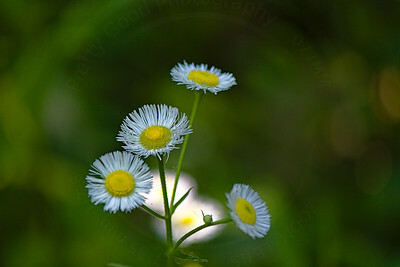 I liked the prairie flowers in this one. 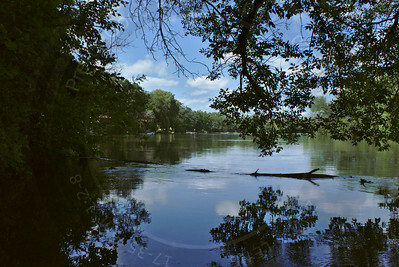 Two elegant tree trunks rise majestically along the Rock River in Janesville, Wisconsin (USA). 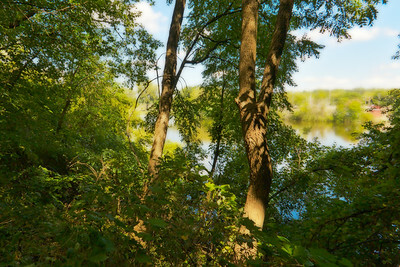 Look down from the bluff to the edge of the forest on the quiet bank of the Rock River near Janesville, Wisconsin (USA). I really expected the river to be wild. Everywhere to the north seems to be flooded from the recent record rainfalls, but here, all is calm. 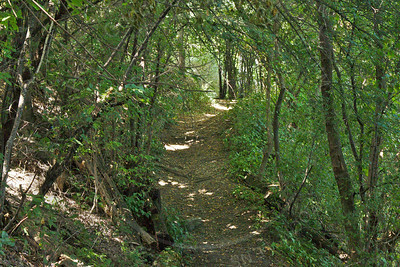 Devil's Staircase segment of the Ice Age National Scenic Trail. Look out from the water's edge on the quiet bank of the Rock River near Janesville, Wisconsin (USA). I really expected the river to be wild. Everywhere to the north seems to be flooded from the recent record rainfalls, but here, all is calm. 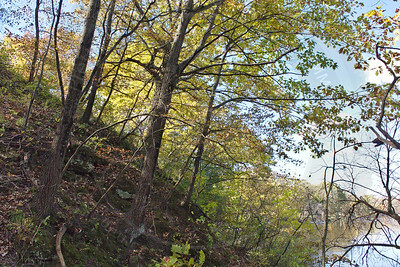 Devil's Staircase segment of the Ice Age National Scenic Trail. 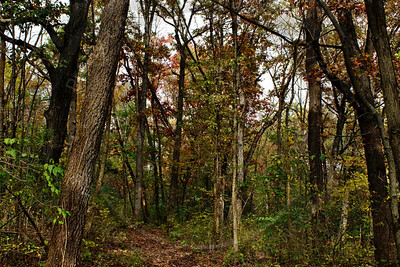 The forest is green and cool and beautiful, but be careful. It's a long way down. 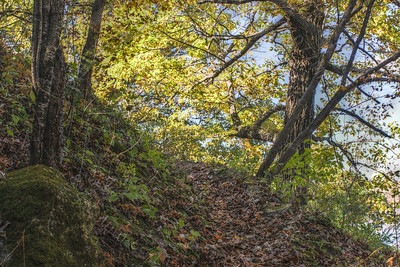 Devil's Staircase Segment of the Ice Age National Scenic Trail. 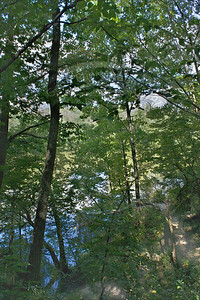 On the bluff over the Rock River in Southern Wisconsin (USA) near Janesville. It looked threatening, but it just blew over. 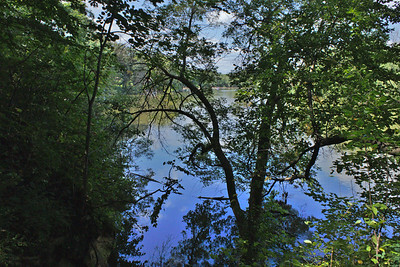 This is Lake LaGrange in southern Wisconsin (USA), viewed from the Blackhawk segment of the Ice Age National Scenic Trail. 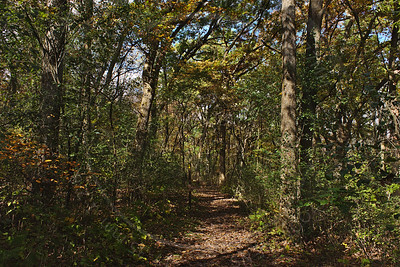 The Ice Age National Scenic Trail, Arbor Ridge Segment runs into the heart of the forest near Janesville, Wisconsin (USA). 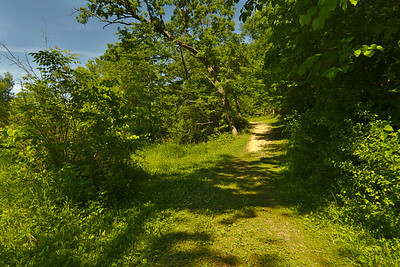 The Ice Age National Scenic Trail winds along the side of a glacial moraine in the Arbor Ridge segment near Janesville, Wisconsin (USA). 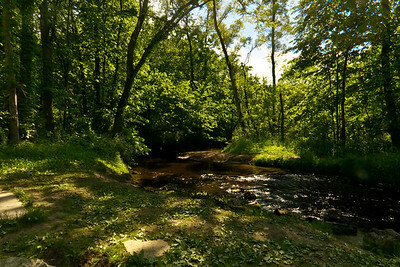 Crick, Creek, or however you say it, it's a couple of miles along the Ice Age National Scenic Trail, Arbor Ridge segment, from the Janesville Schools Outdoor Lab. It's all down hill (one way, of course) and worth the effort. What a beautiful forest.